Our kitchens are NZ-made under license from N&C to their specifications by Sherwood Kitchens of Whangarei. We are also able to design and install wheelchair accessible kitchens for commercial applications such as retirement homes and villages, schools, commercial offices or hospitals. We build every kitchen to cater for the needs of an individual rather than simply offer a fixed package. Our kitchens are as beautiful as they are functional as our focus on design and style doesn’t take a back seat to practicality. 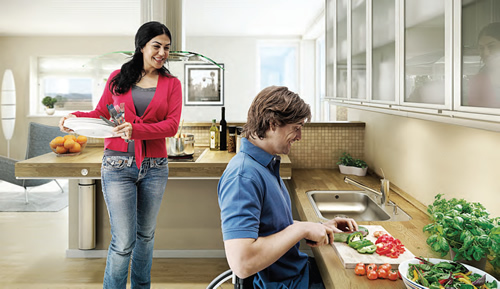 We have a wide range of options for accessible kitchen from those requiring a large number of specialised functions to those who just need a more practical way to make their kitchen more accessible. Many people need their kitchen to be modified to their requirements rather than replaced completely. A simple thing like replacing a sink or hob with a height-adjustable system can make all the difference for a a less able person requiring more access. Fully replacing a kitchen for a disabled person who requires a greater level of access and functionality is often the best option. We offer a number of different design options with many colours in each range. There is a huge choice of kitchen cabinets and accessories, sinks, taps, worktops, appliances, height adjustable worktops and wall units. 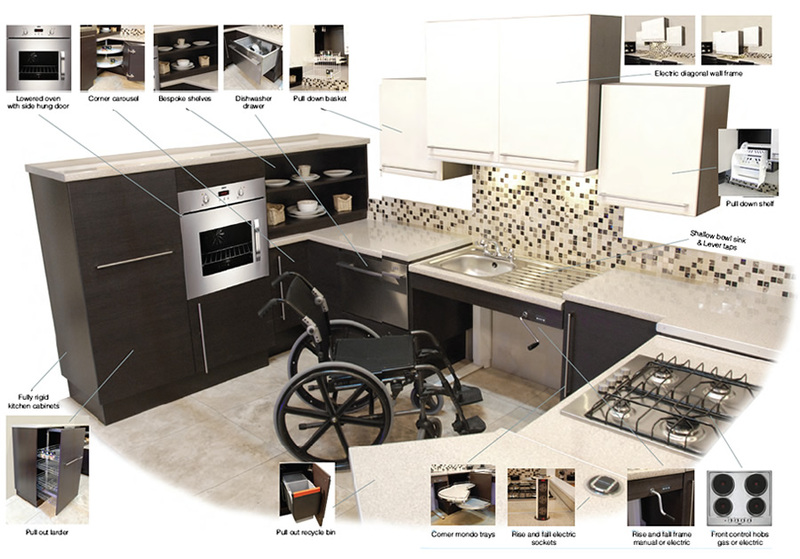 For the first time a functional and practical kitchen designed with less able users in mind can look like any other kitchen.